Looking for Heritage Hogs? Buyer Beware! By Kathy Voth / June 5, 2017 / Comments Off on Looking for Heritage Hogs? Buyer Beware! The popularity of heritage (or traditional) breed hogs has skyrocketed in recent years, largely due to numerous chefs discovering the fabulous flavor of how pork is supposed to taste. There is nothing like the flavor of old-fashioned hogs raised on pasture or range and in a natural environment. Popularity, however, can be a challenge for a rare breed—especially when some people are tempted by quick profits and high returns. When advising newcomers about how to get involved with heritage hogs, we always stress three key points that can make or break success. First, know what you are buying; second, not every animal is breeding quality; and third, make sure your investment in breeding stock is registered. Unfortunately, when it comes to heritage breeds, some folks are out to make a quick buck from buyers who don’t have a complete understanding of how the pigs should look and how they should perform. Part of the reason that the flavor of these animals is so intense is due to slower growth. For producers, this can translate into higher feed costs to get them to market. As a result, some have chosen to introduce commercial genetics into their herds to improve growth rates and produce leaner, larger carcasses in a shorter period of time. The downside to this is these pigs are then sold at high prices to unsuspecting buyers as purebred pigs. One of the most striking and common tell-tale signs of crossbreeding is when Piétrain genetics are crossed into a breed. This is particularly problematic with Tamworth, Berkshire and Hereford hog populations today. The Piétrain pig is distinctive with its long body and “double muscled” legs. When crossed into a heritage breed, the cross will produce fast growing pigs with that long lean body supported by heavily muscled legs. As early as one month of age these piglets will already begin to show heavy muscling. Unfortunately, the show ring favors this body type over the traditional “dirt hog” of days past, so they are becoming more commonplace and are a threat to preserving the historic breed genetics. Another increasingly common cross is with Kune Kune and Guinea Hogs. Guineas are a small, traditional farmstead hog and are enjoying new popularity with homesteaders and hobby farmers. Because of their rarity, some producers faced with lack of diversity in their herds turned to the cross to produce “Guineas” in colors not normal for the breed. Many are sandy with black spots—a common color in Kune Kune hogs, but non-existent in purebred Guineas. From a genetic standpoint the crosses may look similar, but are not the original breed and should not be sold as such. To avoid unintentionally purchasing crossbred hogs, educate yourself before you buy: Get to know the breed standards and talk to reputable breeders. When you can expect to pay up to $500 for breeding stock, it really is time well spent. Typically only the top 10 percent of a population is good enough for breeding. You cannot be certain that a pig will be of breeding quality until it is at least 6 months old. This poses a challenge for breeders who may not have the resources to keep piglets around that long. They may have no choice but to sell only young piglets. Most reputable breeders will guarantee their pigs should they prove infertile or develop a genetic problem that disqualifies the pig from being breeding stock. The other side of the coin is you must expect to pay more for quality stock. But it is worth the extra cost when you are buying the guarantee, and the years of selective breeding put into producing good productive representatives of the breed. Our office gets many calls from people that bought “registerable” animals, only to find the parent stock was never registered. This can be very frustrating for the beginner pig producer who wants to do right by their chosen breed. Always make sure you see the parent’s papers or confirm with the breed registrar before buying. But why does this really matter? All of us who raise rare breeds and work to conserve them do so because of the unique characteristics of that breed. Each has just the right adaptation, personality, performance or appearance that makes it a breed. Conserving these characteristics means mating only within the breed; too many breeds have been lost when the purebreds used to create value in crossing were not maintained and “crossbred out of existence.” One of the easiest ways to make sure that you and others are keeping the breed true to its own character is to use only registered purebred breeding stock. Maintaining and selecting for breed characteristics ensures the same things that attracted one breeder will attract new breeders. This is important even to those who are raising their animals for market products. Breeders who work together through the breed association raise the level of awareness for both products and breeding stock. 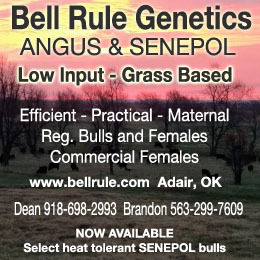 One needs to look no further than the highly successful marketing program for Certified Angus beef. By registering animals, we support breed associations and their breed promotion efforts, which benefit all who raise the breed. Registering your animals can raise the value of your animals. To the educated buyer, registration helps to ensure they are buying the “real deal” and it shows the commitment of the producer to their breed. In states that are aggressively trying to control this major problem, it may be a challenge for wildlife service personnel to know the difference between a heritage breed hog and a feral hog. That piece of paper could prove to be quite handy! There’s a bright future for heritage pigs, but it’s our duty to be their stewards and not change them into commercial hogs. It would be tragic to lose centuries-old breeds for the sake of short-term profits in today’s markets. For more information on heritage hog breeds, and what it takes to work with them, visit www.livestockconservancy.org. Thanks to authors Alison Martin, PhD, Executive Director, and Jeannette Beranger, Senior Program Manager, at The Livestock Conservancy. This article was posted with permission and was originally published in Sustainable Farming magazine, a publication of A Greener World. Sign-up to receive the Sustainable Farming magazine, a free quarterly publication, here. A Greener World (AGW) promotes practical, sustainable farming systems by supporting farmers and informing consumers. 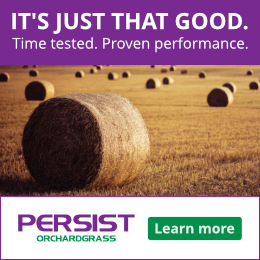 AGW’s growing portfolio of trusted certifications includes Animal Welfare Approved, Certified Non-GMO by AGW and Certified Grassfed by AGW. Each program is designed to have positive and measurable impacts on the environment, society and animals, and to encourage truly sustainable farming practices. AGW’s standards and procedures are robust and transparent, yet realistic and achievable for farmers. AGW offers a range of resources to help people make informed food choices, including an Online Directory of certified farms and products and Food Labels Exposed –a definitive guide to food label claims (available in print, online, and as a smartphone app). For more information visit agreenerworld.org.